The Omexco Company from Belgium is known around the globe as one of the leading producers of luxurious and high-end wall coverings, which are created from most unexpected materials, in the richest color range and using unique printing and embossing techniques that result in absolutely non-standard visual effects. 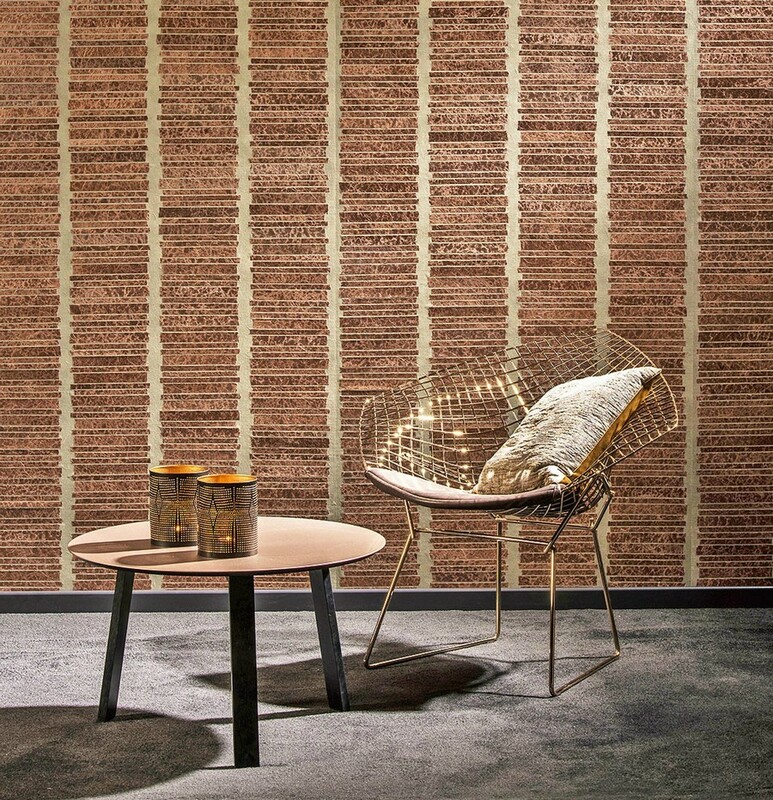 Recently the company has revealed its new collection of wallpaper dubbed the “Collages” – and this time the Belgians decided to surprise us with artifacts handcrafted from …Japanese paper and fibers of the banana tree. Japanese paper is more frequently referred to as “washi”. Its unique production techniques are rooted back in the 4th century, when Japanese peasants learned this hand craft and spent long winter days and evenings making paper. This time of the year was the best for collecting raw materials for washi: fibers from the bark of such trees and shrubs as gampi, mitsumata and paper mulberry. In cheaper species of paper bamboo, rice, wheat and hemp were added. The spice of washi was about its high-end quality: it was white, rough-textured, almost transparent, but extremely strong – it was almost impossible to tear it using just the power of hands. In the history of Japan washi was used for writing, creating origami, decorating traditional Japanese sliding doors, making clothes and accessories, templates for painting fabrics and in many other spheres. Nowadays this craft is registered as a UNESCO intangible cultural heritage. 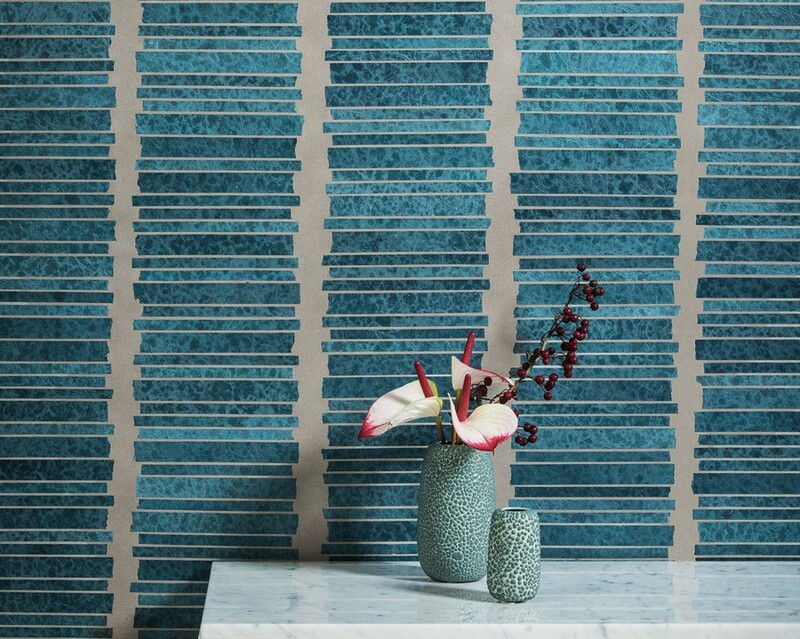 So, in the “Collages” Collection by Omexco small pieces of Japanese paper are hand-glued on a non-woven backing by craftsmen to form a stripy or mosaic pattern. 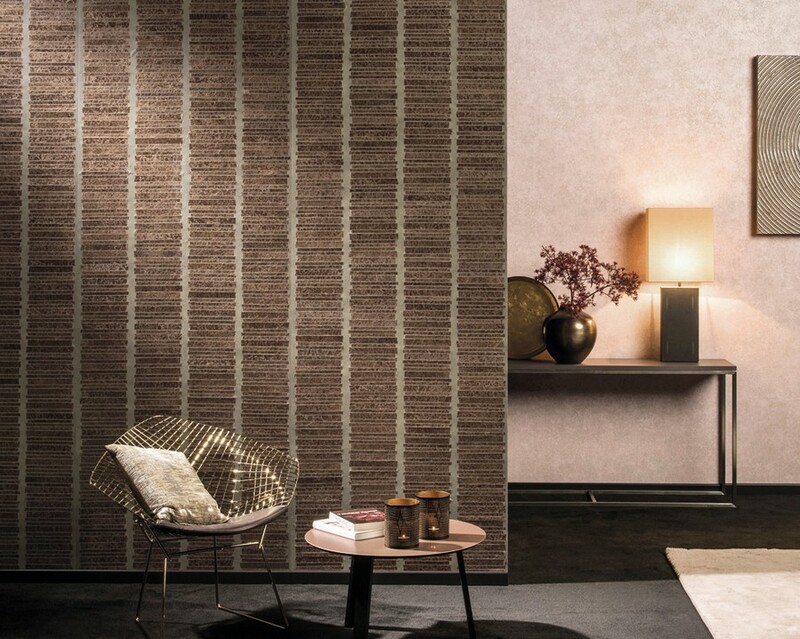 The non-woven background either imitates natural stone texture or goes simply monochrome with the addition of sisal fibers. Being made with recycled banana tree fibers and printed using solar energy, this non-woven wall covering is eco-friendly and FSC certified. To crown it all, it is breathable and hence can be safely applied even in rooms with high moisture level, including bathrooms and kitchens, and even on cruise ships.